The EU will adopt demands today (29 January) for a transition period that binds Britain by the bloc’s laws for nearly two years after Brexit, a plan that is dividing the British government. The terms have infuriated pro-Brexit lawmakers in embattled Prime Minister Theresa May’s Conservative party who say it leaves Britain a “vassal state” of Brussels. 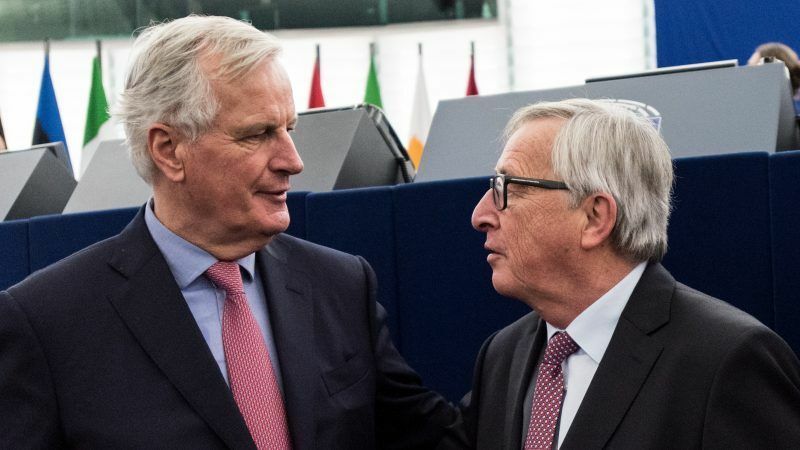 European ministers will approve instructions for chief negotiator Michel Barnier for the transition, which the bloc wants to run from 29 March 2019 — when Britain leaves the EU — until 31 December 2020. The so-called negotiating directives say Britain must follow EU rules “as if it were a member state” during that time but without having any say — even on laws that are passed after Brexit. The EU guidelines also say the transition period must be “clearly defined and precisely limited in time”. 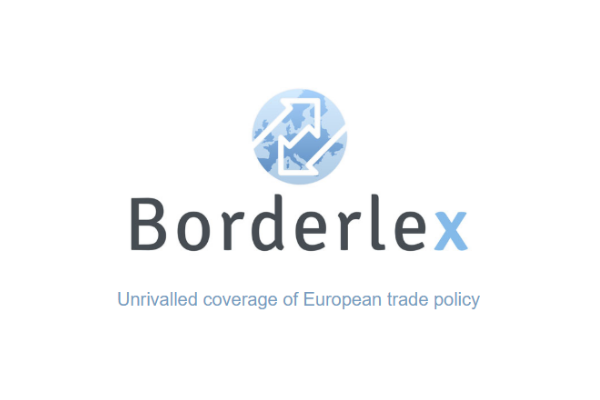 Talks with Barnier’s counterpart David Davis could begin as early as this week, with the aim of completing them by March so negotiations on future trade ties can start, European sources said. But the transition negotiations could be more complicated than expected, with high stakes, analysts said. “The thing for me that is concerning is the time limiting of the transition. That is clearly inadequate for the purposes of negotiating a new trade deal and raises the spectre of a new cliff edge in December 2020,” said Simon Usherwood, deputy director of the UK in a Changing Europe think-tank. “I don’t see how we can get the thing done in time,” he told AFP. With dangerous rifts emerging openly in May’s government over the plan and eurosceptic MPs baying for blood, Davis and other top ministers tried to show a united front at the weekend. Davis, finance minister Philip Hammond and business secretary Greg Clark wrote a joint letter saying that the transition was only intended to give people, businesses and public services time to get ready for the full EU exit. Britain calls it an “implementation period” and says it should last “around two years”. But Jacob Rees-Mogg — who leads a group of more than 50 Conservative Brexiteer MPs and made the “vassal state” comment — warned that staying closely aligned to the EU risked making Brexit a “damage limitation exercise”. There have been open differences in the government, with finance minister Philip Hammond calling for the EU and Britain to move apart only “very modestly”. Davis is meanwhile on a collision course with the EU over his claim last week that Britain could negotiate and even sign its own trade deals around the world during the transition, although they would not come into force until afterwards. EU officials insist that during the transition period Britain would be bound by the same rules which stipulate that member states cannot sign independent trade deals. European leaders backed Britain’s call for a transition at a summit in December when they approved an in-principle deal on the terms of Britain’s withdrawal from the EU — citizens’ rights, the Irish border and Britain’s exit bill. They said it would ease the change for citizens as well as providing a “bridge” to an eventual post-Brexit trade deal between the EU and UK. Discussions on Britain’s future trading relations with the EU are due to start in April but with the clock ticking May has yet to set out what London wants. Some member states have called for the transition itself to be extendable if the EU and Britain have still not managed to sort out a future relationship deal when it ends. But France has led opposition to the plan, sources said. Parliament is running under false pretences. The EU Withdrawal Bill will align the UK to current EU Acquis, very good. But it will have no legal value whatsoever in international law. Anyone can write their own laws, but without a treaty between nations they will not apply. We have broken the Treaty, we have invoked the A50 leave clause, so from March 2019 their will be no treaty. No Acquis, no Court to judge, no membership of the EU. There will only be the UK sitting on a fat law book of useless legislation which has no purpose whatsoever. The EU knows this and just sitting around, worrying for sure, wondering what the UK will do to mend fences and agree a future. They will not let us go on unless we either reverse Brexit and remain, define a new treaty relationship, or decide to drop out to WTO trading. They are waiting for us to chose.